Is the word זו pronounced with a cholam (וֹ) as in "zo" or with a shuruk (וּ) as in "zu"? I have seen both versions in various siddurim; which is it? Google searches yield a number of hits for both results. This website quotes Chanoch Yellon as saying that Ashkenazim use זוּ while Sefardim and Teimanim use זוֹ. Cool historical fact: This forum quotes RSh"Z Geiger (brother of Abraham Geiger) in Divrei Kehilos, page 282 declaring that it was inappropriate for some Orthodox German Kehillos to switch from זוּ to זוֹ, as it was the way of the Reformers! Personally speaking, I was told by a Mesader Kiddushin that the correct word is זוֹ, with a Cholam, however, the Minhagim vary, and as far as I know, neither one will invalidate the Kiddushin. [zo] should not be mixed up with זוּ [zu]. The former means "this/that" (f), the latter means "that", "which". So, from my understanding of all this, it seem that the best choice would be זאת, since the word טבעת is feminine. Zo is an acceptable substitute. It seems that zu is incorrect in this context. Note by comparison, in the Hagaddah, the commn language is "Matza zu ...". And, I think, there that is correct, because the rest of the sentence says שאנו אוכלים ..."
So, in this context we are saying "The matzah that we are eating...". While the word zo would probably work in the Hagaddah, too, "This matzah that we eat..", from the explanation above the term zu seems like a better fit. Not the answer you're looking for? Browse other questions tagged words grammar-dikduk wedding . Is Kel Malei Rachamim (memorial prayer) said under the chuppah at a wedding? 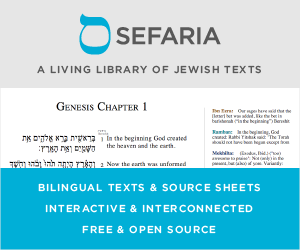 Where does the comma go in the Birkas Kohanim, and why?